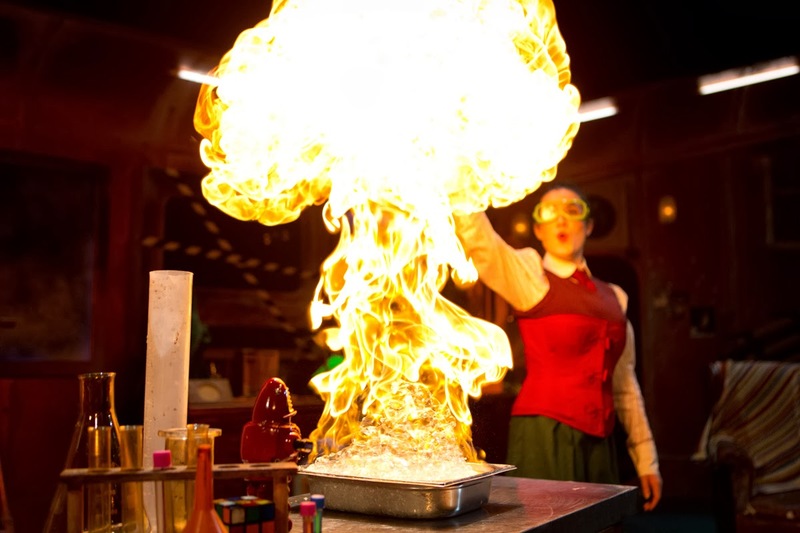 The Science Museum presents The Energy Show- Live! We love learning and we love Theatre Shows, so the chance to enjoy both at the same time was very appealing to us. 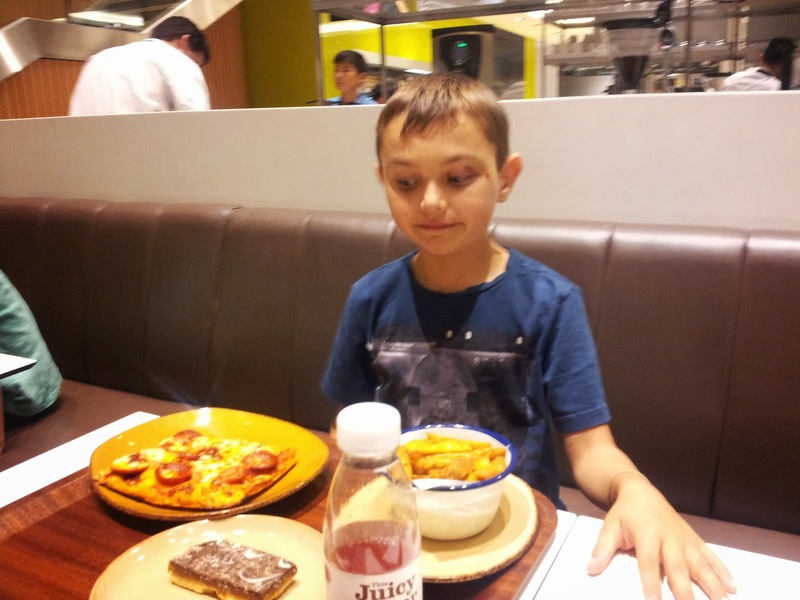 Danny was invited along to “The Energy Show“, directed by Martin Lamb, at the Science Museum as a Kid Blogger to review this explosive family theatre. He allowed Nanny, me and Rebecca to come along too! 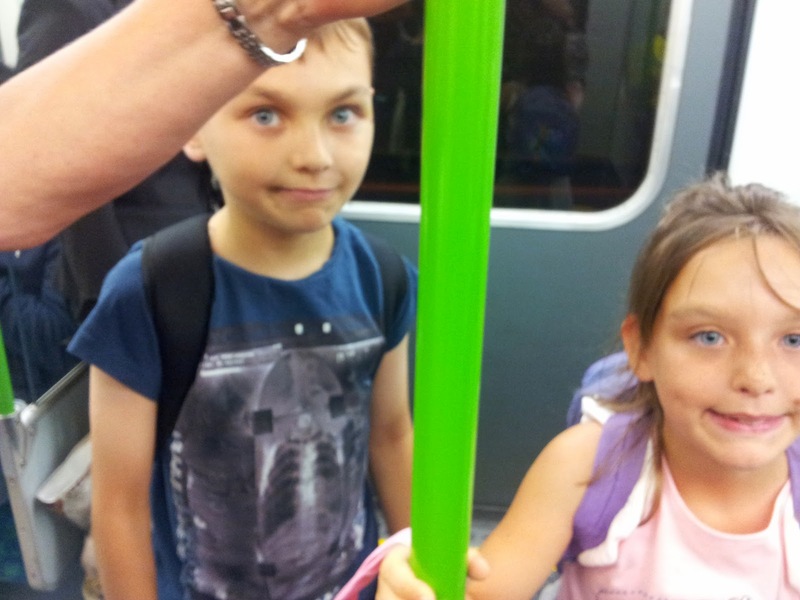 We travelled overnight on the Megabus to London, hopped on the tube and we were on our way to the Science Museum. I love how so many of the free museums are grouped together in the Museum Quarter, in South Kensington. We will have to try and visit them all eventually. 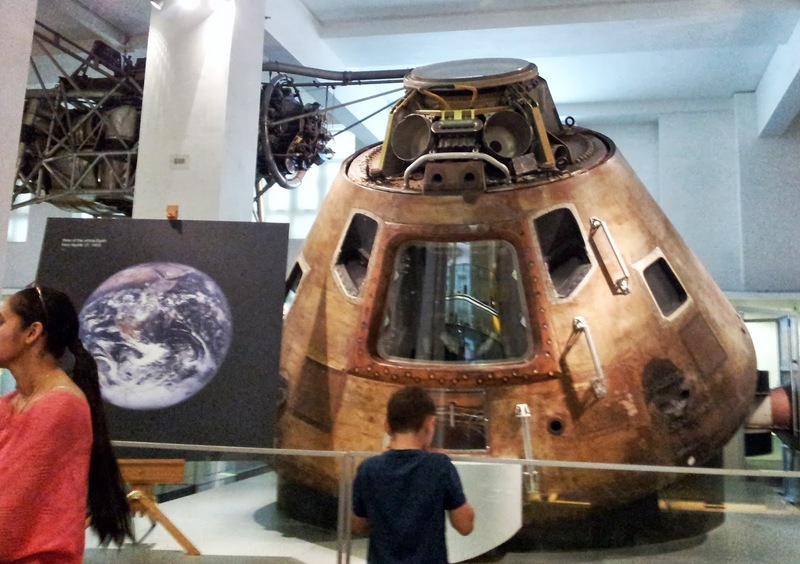 The Science museum was impressive from the start- it was founded in 1857- there were exciting exhibits everywhere- we hastily registered at the desk and put our luggage in the cloakroom so we could start exploring. We were given a 3D Family Trail leaflet. It contains instructions to find interesting objects and learn fascinating 3D facts. 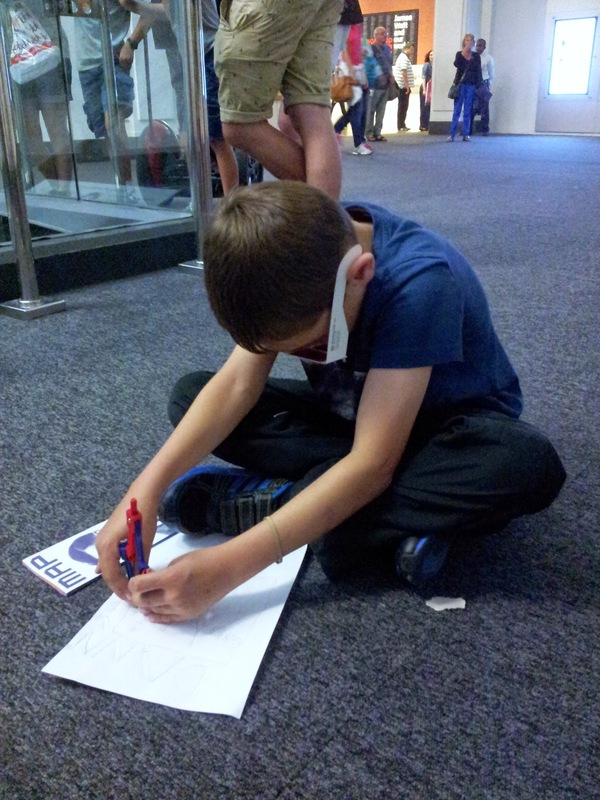 On the back there is an origami task to complete to win prizes. 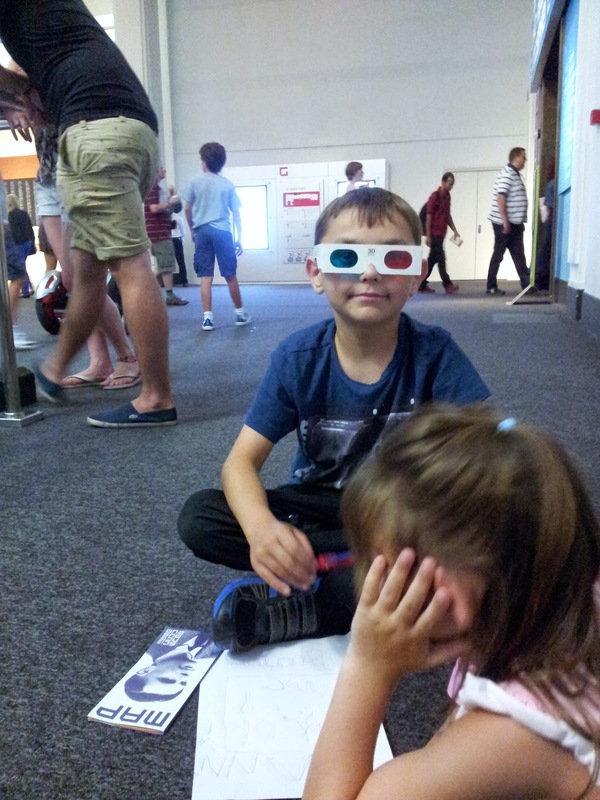 The kids loved their 3D glasses, especially as they came with a 3D drawing pencil to create their own 3D doodles. 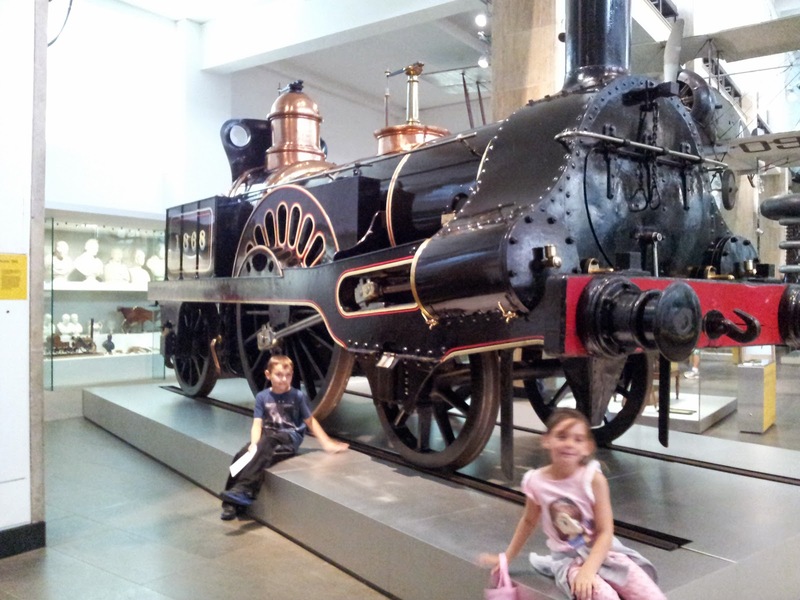 The Making the Modern World Gallery is fascinating, it displays a series of fascinating objects that have shaped our history, from Stephenson’s Rocket Locomotive to Watson’s DNA Model. Danny has regular ECG tests so we were interested in the first ever Echo Cardio Graphy machine. 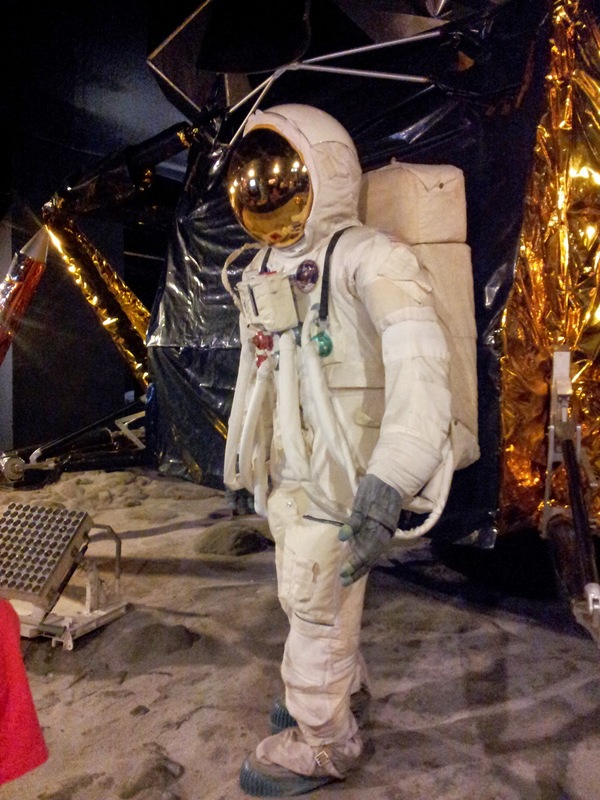 We also loved the Exploring Space exhibition. 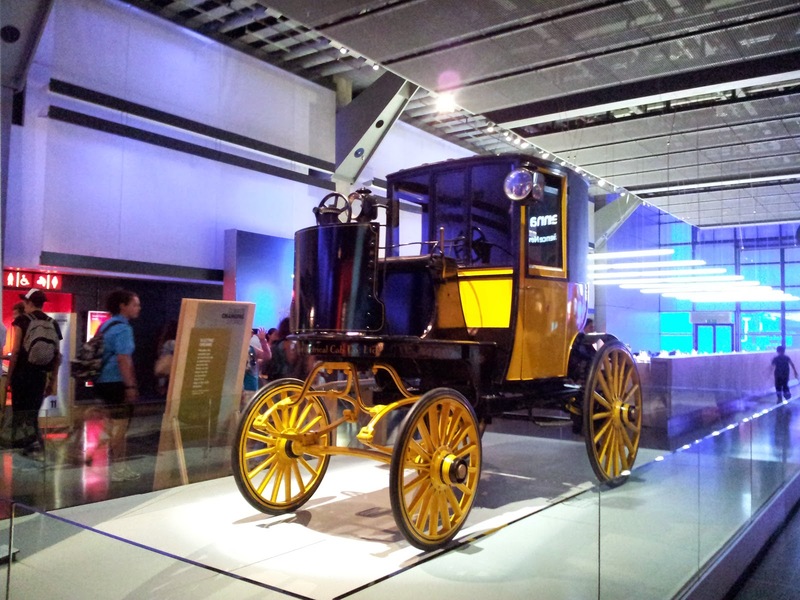 I adore the old carriages, bicycles and cars. After exploring the exhibitions, we needed to get ready to see The Energy Show. It clearly stated that I had to go to the Imax Cinema, but because it was a Theatre Show, when I saw the Theatre, I decided to wait there. I blame tiredness from my long journey! After a long wait, with nobody else queueing up I realised that we must have been in the wrong place. 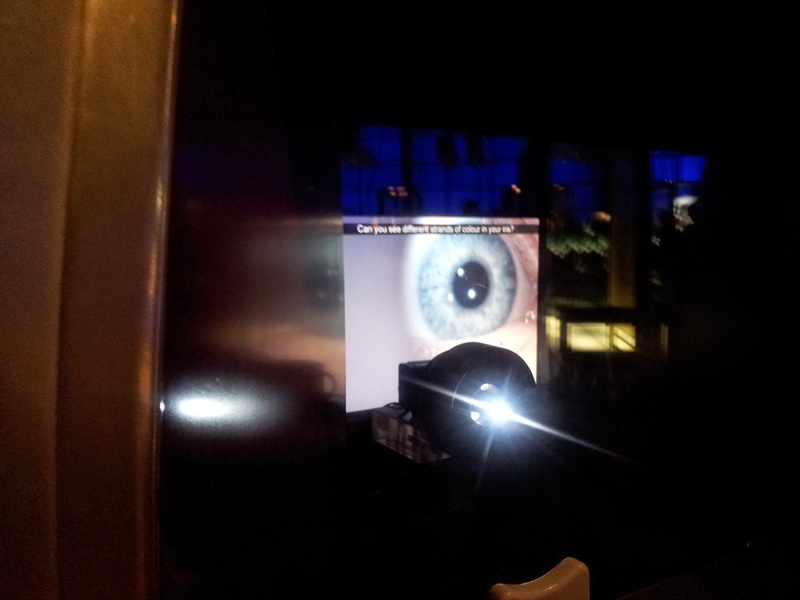 I asked a member of Staff and he confirmed that we had to be at the Imax and pointed us in the right direction. Ironically, it was close to where we had been exploring before we travelled all the way back to get to the theatre. The Science Museum is so big that you do clock up a lot of walking within there! Refreshments and pop corn are on sale in shop on the way into the Imax. We went straight in and found some seats. After all the walking around, I was glad to sit down. Doors open 15 minutes before the Show Starts and seats are on a first come first served basis. As we waited for the show to start, we had a good look at the set, designed by Janet Bird. 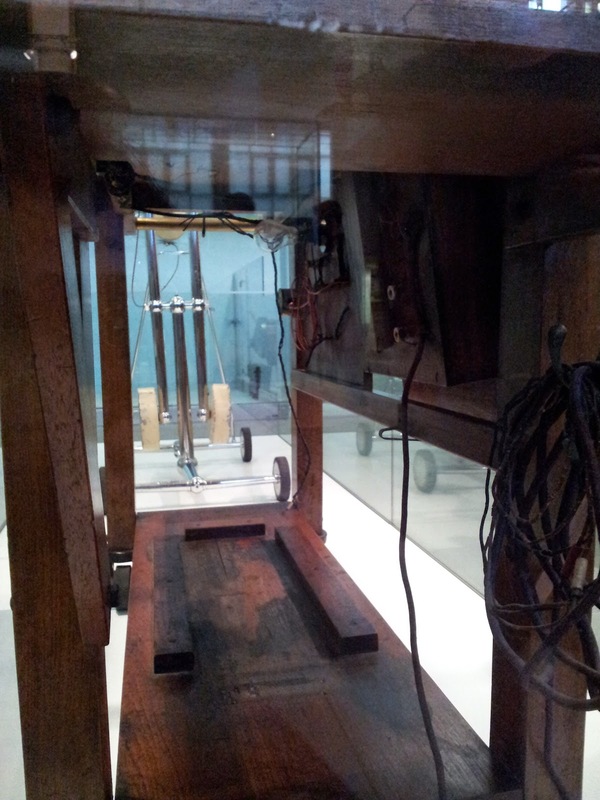 It looked like a very old, Mad Scientist’s Laboratory. When the show starts, we are first introduced to the fun and lively Phil (Denise Hoey). We soon realise she is a futuristic Science Student, who along with fellow Student, Annabella (Rachel Loughran) is set the task to perform a five minute presentation all about energy. When we meet Annabella, we realise how opposite these students are. Phil is fun, lively and wants to approach the presentation in an impulsive manner. She can’t wait to start blowing things up. Annabella, is the safe, conscientious scientist, who wouldn’t dream of starting an experiment until she has written a list. They are helped on their mission by the “strong, silent” Bernard (Michael Noble). The real “voice of reason” during the performance is I-Nstein, their virtual lab assistant who offers clear, Scientific Explanations (reassuringly voiced by Peter Holdway ). He is designed by Nina Dunn. All the Science is weaved into the show through a story, which retains children’s interest. There is also humour thrown into the mix, in the form of Farts and Star Wars! If that’s not enought to grab your attention- there are also literally electrifying performances and huge hydrogen bangs! Danny’s favourite part was when they lit the Hydrogen and Oxygen Balloon. Rebecca thought it was very funny when they shot Rocket Bottles at the audience. I liked the interaction that was invited from the audience, we encouraged them to give us bigger and louder bangs, helped with countdowns and at the end of the show, the students future was dependent on how loud we clapped and cheered for them! We clapped VERY loud and didn’t let them down! 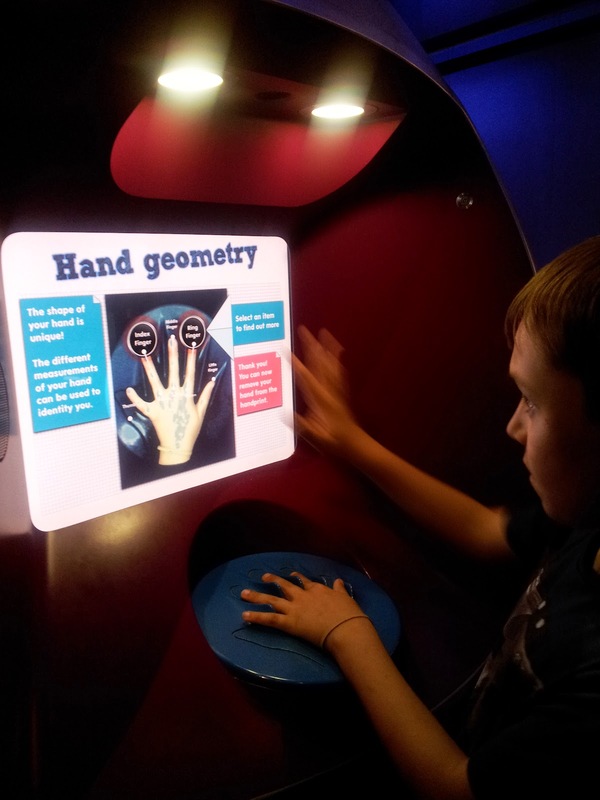 From a teacher’s perspective, I think that the children (and adults) at the show could do with more assistance to help us retain the information that we have learnt. I think a catchy song, rap or chant may have drummed the information into us more firmly, as there is a lot to take in. However, the main concepts of energy are clearly explained and I’m sure the kids learnt a lot from it. 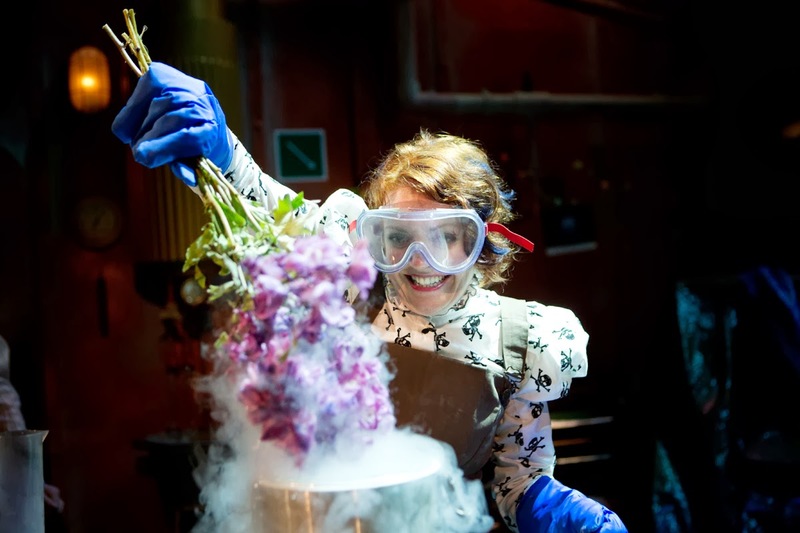 I love the fact that they mix the Science with a real Theatre Show, as I have seen many a boring Science Show in the past, and I’m pleased to say that this was most definitely not! As well as the Science learning, there is also the reinforcement that we achieve more when we work together and opposites attract. The show is suitable for children aged 7 and over. Rebecca is only 6 but was engrossed in the performance. It lasts for 75 minutes, with no interval. The time goes quickly, due to the quality of the show and the performances. Tickets are £9.50 and £14.50 or £42 for a family ticket. This is very good value when you add in your visit to the museum too. After the show, we went to get dinner. If I lived locally I would have bought a picnic with me as this is allowed at the Science Museum. The food was delicious, though it was not cheap. However, I later found out that there is a great offer for the Show and a restaurant meal. 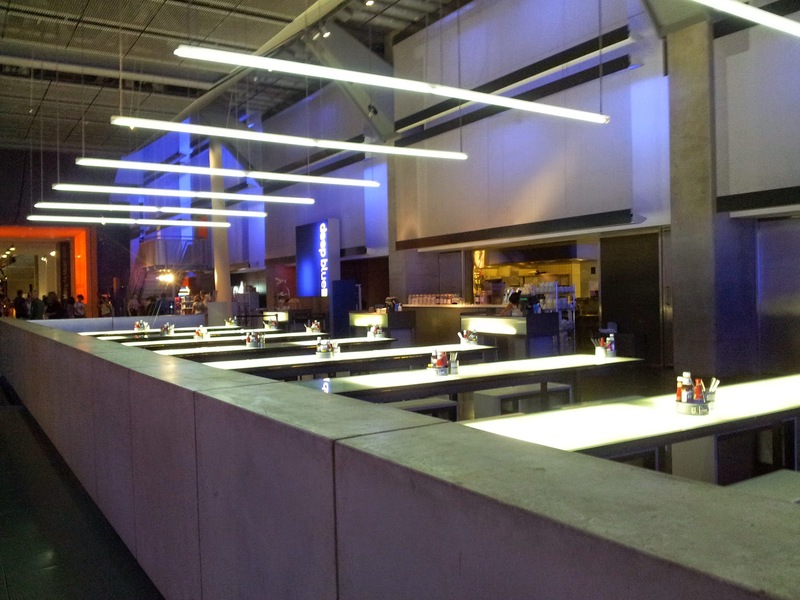 Meal + show tickets: Adults enjoy a burger and soft drink and kids can pick any main from the children’s menu plus a free drink and ice-cream at our Deep Blue family restaurant by the IMAX Theatre. Vegetarian options available. After eating, we resumed our exploring. 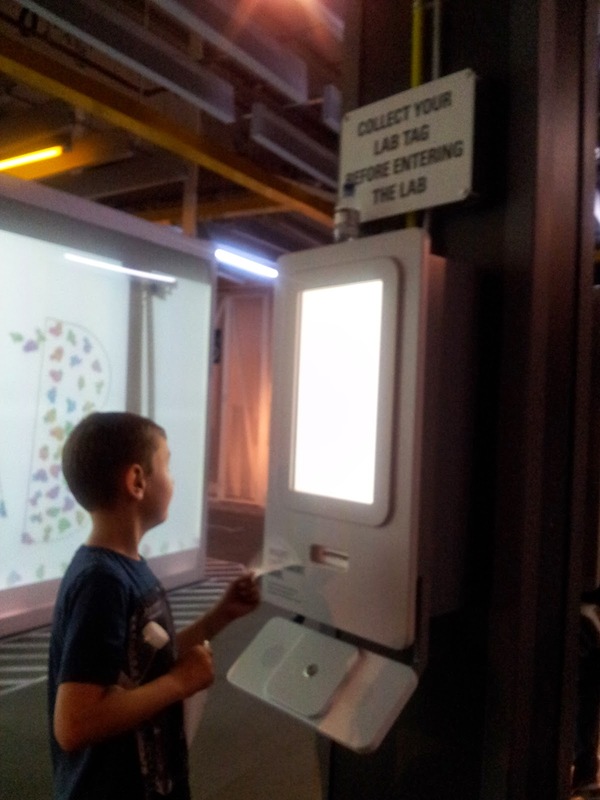 We had a lot of fun in The Pattern Pod, which is aimed at younger children. In the Chrome Web Lab, we discovered the power of the internet and could interact with people at home online. 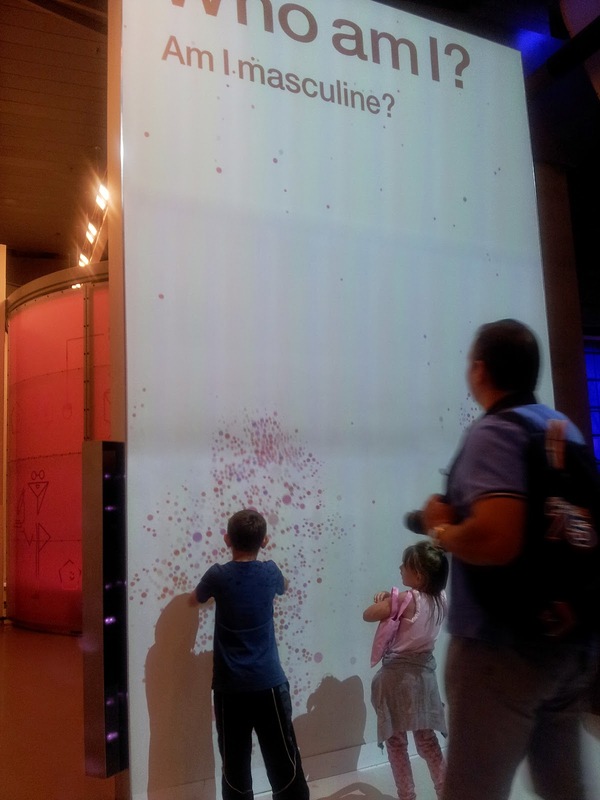 The “Who Am I?” Gallery is very popular as it is all about most Human Being’s favourite subject, ourselves. 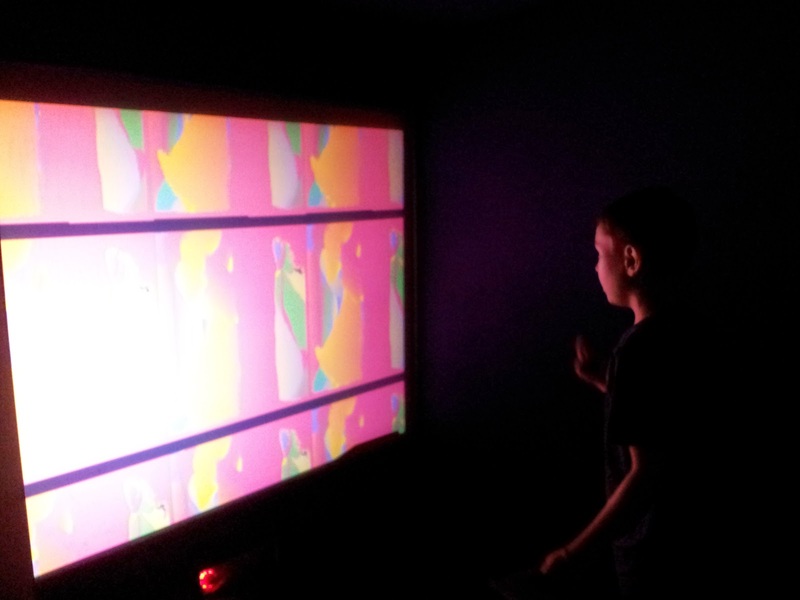 The interactive experiments were the most interesting. This shows Danny, how he might look as a girl! I made a very ugly man! Danny gets “hands on” with Science. 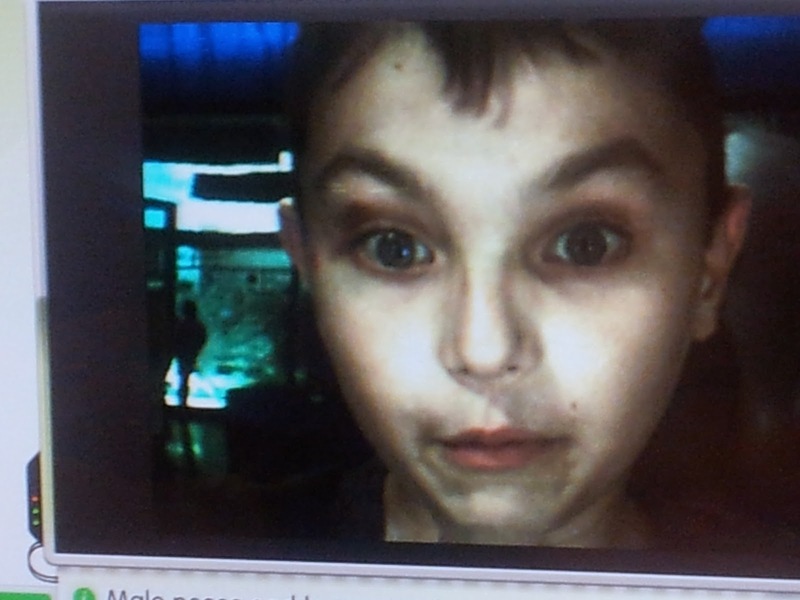 I can’t wait to go to the Science Museum again. There is so much to do you just can’t pack it all into one day. They also have new Exhibitions on all the time, so it is definitely worth a re-visit- you’ll never get bored! 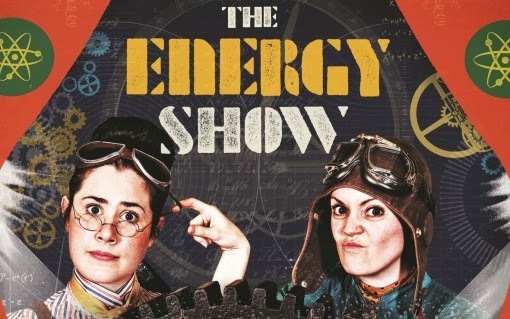 Booking to see The Energy Show while you visit, really makes this a special event for the Summer Holidays- I highly recommend a visit! Disclosure: We were given free entry to The Energy Show, The Science Museum. All opinions are honest and our own. Previous Post The Smurfs 2 and Smurf-tastic Jakks Toys!